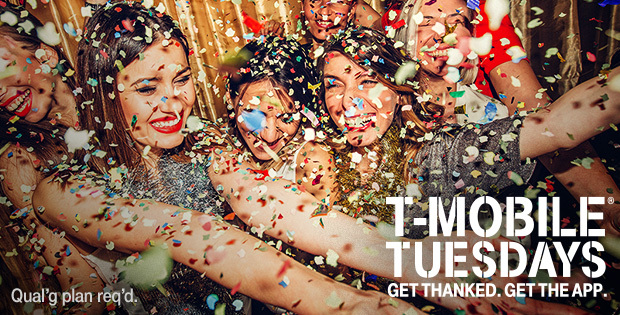 T-Mobile’s got another special T-Mo-branded goodie coming for next week’s T-Mobile Tuesday. 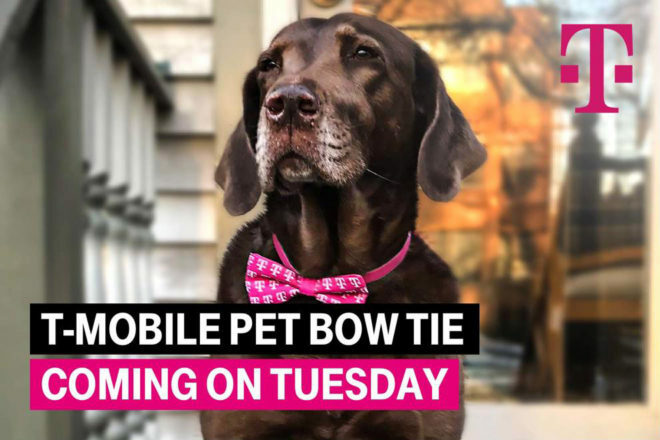 For the May 8 edition of T-Mobile Tuesdays, T-Mobile customers can score a free T-Mobile pet bow site. The tie is a magenta color, of course, and has a bunch of T-Mobile logos on it. Also coming in the next edition of T-Mobile Tuesdays is a free month of Dog.TV, a TV channel that’s touted as an “audio-visual therapy tool for dogs who suffer from loneliness, boredom, separation anxiety, or depression”. T-Mo customers can also get a $3 Starbucks egift, $4 off any Revlon cosmetics at Walgreens, and a $50 Amazon.com gift card per night from HotelStorm. T-Mobile’s prize rules still list the info for this week’s grand prize, which is free movie tickets for a year. You can play the game for your chance to win right now. What is that $3 starbucks egift? Is that an e-giftcard that we can have saved to our starbucks account? Does it function like the Dunkin & Baskin Robbins cards in that you can add them to the app and they don’t expire? We’ll have to wait until Tuesday and find out. Perfect timing for mothers day! I hope I could use the Revlon coupon at walgreens.com. Does anyone knows if it’s online or in-store only?